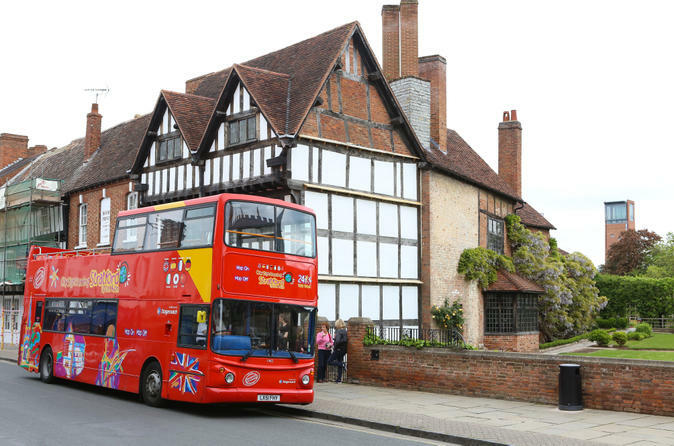 Explore Stratford-Upon-Avon with this 24-hour ticket aboard an open-top double-decker City Sightseeing bus. See all the main sights as you hop on and hop off 14 conveniently located stops around the city. 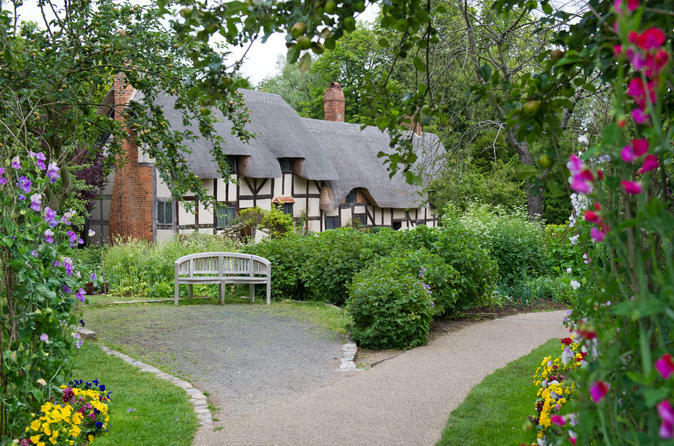 Shakespeare’s family homes and gardens offer something for everyone. Enjoy tales from our fascinating guides and discover Shakespeare's life story while you visit his beautiful homes and gardens, explore various exhibits, watch live performances, and visit with farm animals. Take part in trials, quizzes and many other family activities throughout the year. 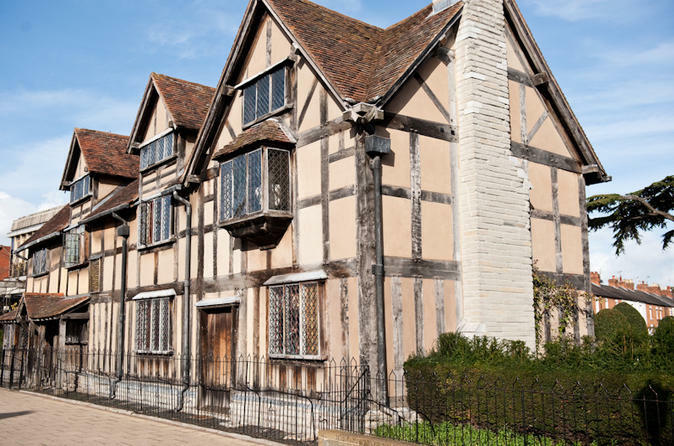 Shakespeare’s family homes and gardens offer something for everyone. Enjoy tales from our fascinating guides, discover his life story through exhibitions, experience live performances, visit beautiful houses and gardens, or meet the animals and take part in trials, quizzes and family activities throughout the year. Guided small-group minibus tours of the Cotswolds on Wednesdays, Fridays and Sundays from Stratford-upon-Avon. 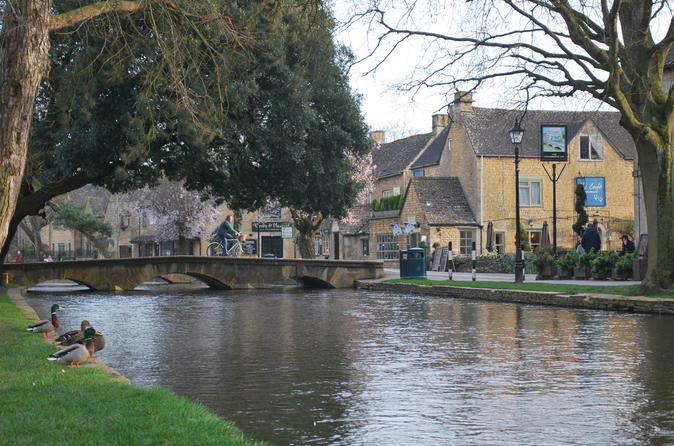 Tours offer visitors the opportunity to experience the Cotswolds with a local taking in many different Cotswold towns, villages and beauty spots including off-the-beaten-track places larger tour companies would not be able to get to or simply wouldn’t know about! Ticket price includes a pick up from anywhere in Stratford-upon-Avon or Chipping Campden as well as Warwick Parkway and Leamington Spa rail stations, making it a tour easily accessible from both London and Birmingham.